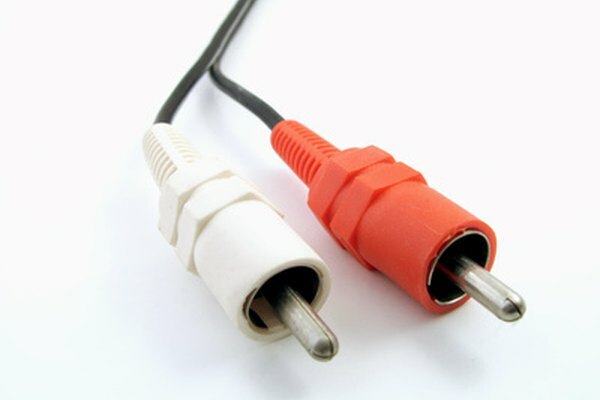 There are numerous ways to connect your PC to your television, all involving different cables. Which method you choose depends on which outputs you've got on your computer and which inputs you've got on your television. You'll need to see which connectors you have, checking the manual to correctly identify them, and then purchase the appropriate cables. When you've got the two connected, you can then use your television as a computer monitor. Connect your PC to your television using an S-Video cable. Most televisions have an S-Video port; check to see if your laptop does, too. There are two types of S-Video ports--4-pin and 7-pin--and PCs tend to have 7-pin ports. If your TV has a 4-pin port, you won't be able to connect them directly this way. 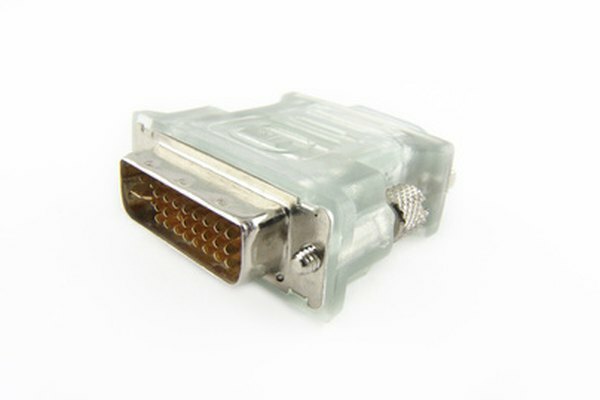 Some S-Video cables have composite connectors at one end, so you can attach the S-Video end to your PC, and the composite connectors, which look like audio jacks, into your television's composite input ports. Connect your PC to your television using a VGA cable. If you've got a high-definition television, it should have a VGA port, and most PCs will also have one. This gives a better picture than S-Video but it isn't available for older, standard-definition televisions. Connect your PC to your television using a DVI cable. Again, you'll need an HD television for this option. 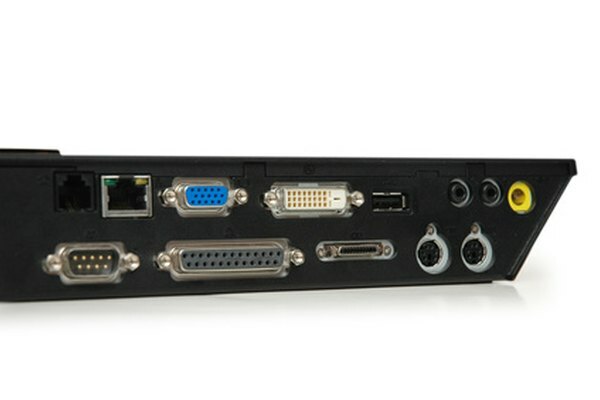 DVI (Digital Video Interface) gives better picture quality than either S-Video or VGA. But again, your television and PC will have to have the necessary ports, and the cable itself is often more expensive than the alternatives. Connect your PC to your television using a DVI-to-HDMI adaptor cable. HDMI is the connector used to hook up high-definition inputs and outputs and it gives the best HD picture quality. But as of 2010, HDMI ports are not available on PCs. 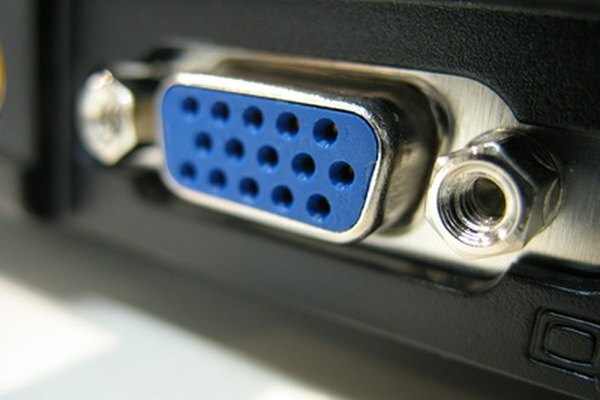 Buy instead a DVI-to-HDMI cable and plug the DVI connector into your PC's DVI output (if it has one) and the HDMI connector into your television's HDMI input port. Again, you'll need a high-definition television for this to work. Connect the audio cable to your television. If you're working with standard-definition connectors like S-Video and VGA, you'll need to connect your audio signal separately, as those cables transmit only video signals. 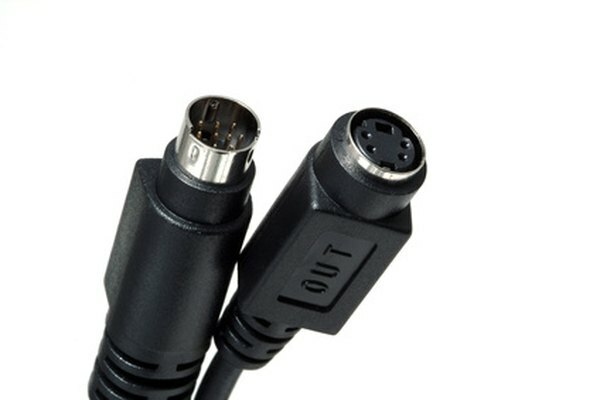 Using a 3.5mm stereo mini-plug to dual RCA jack stereo cable, connect the 3.5mm end into the audio line out port on your PC. This will often be the same place you plug your headphones into. Connect the other end to the RCA inputs on your television, making sure to match left to left and right to right, so you get a proper stereo output. The cables are usually colour-coded to make this obvious. Select "external monitor" on your PC once the appropriate cables have been plugged in. In Windows XP, right-click on the desktop and select "graphics option" and then "output to". Select the external monitor (your television). The screen on your PC should turn black, and your television should now display your desktop. You may need to adjust the screen resolution of your computer to match your television. Check your computer's manual for instructions.